Social media marketing strategy: We will assess your needs, outline opportunities and prescribe specific actions for long-term social media success. Implementation guidelines: If you have already determined your online engagement goals, we will help you navigate the ever-evolving social media landscape. We will ensure that you are complying to all social platform rules, capitalizing on new opportunities as they develop across each platform, and establishing best practices for future development and communication. Social media audit: We will perform an in-depth analysis of your site's presence across social media platforms, including all niche platforms as well as mainstream platforms. Competitive analysis: If your competition is currently outpacing you online, we will identify the reasons for that, develop the steps necessary to close the gap, and help you to execute a unique social media plan of action that will leave them eating your dust. Social profile creation: If you are brand-new to the social media game, we will create the compelling social media profiles needed to burst onto the scene and make a first-rate impression. Blog design, setup and/or optimization: Taking your company's "personality", goals, and audience preferences into account, we will actualize your vision and, partnering with our SEO specialists, develop an optimal blog presence. Blog strategy development: We will help you to identify your blogging goals and "voice" then create and strategically maintain a space for sharing your expertise and experience in your field. Community building strategy development: We will build your brand by establishing it as a trusted and approachable resource for customers and potential customers alike by engaging across social media platforms in discussion of topics they find relevant. We will handle or forward business leads and customer service issues to your team (you select). Community monitoring: We will monitor discussion about your company and your field (including your competition!) across all applicable social media platforms. Web analytics and metrics analysis and reporting: We will report monthly on your social media community, impressions, and rankings. Monthly webinar meetings can be scheduled to report on results and to plan for the forthcoming month. Writing for publication: We are experienced in several formats and styles, including academic publication, web copy, corporate blogs, online social channels, and press, to US or UK standard. Please Contact Us for Pricing and to receive our Social Media Questionnaire to get started! 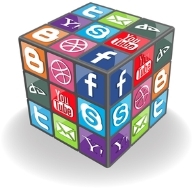 Contact Us about Social Media!